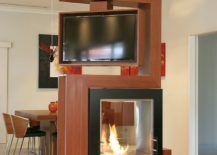 There comes a time when mere functionality does not do it anymore and you are looking for new ways to elevate the aesthetics of your living room. 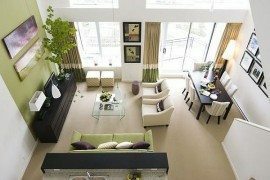 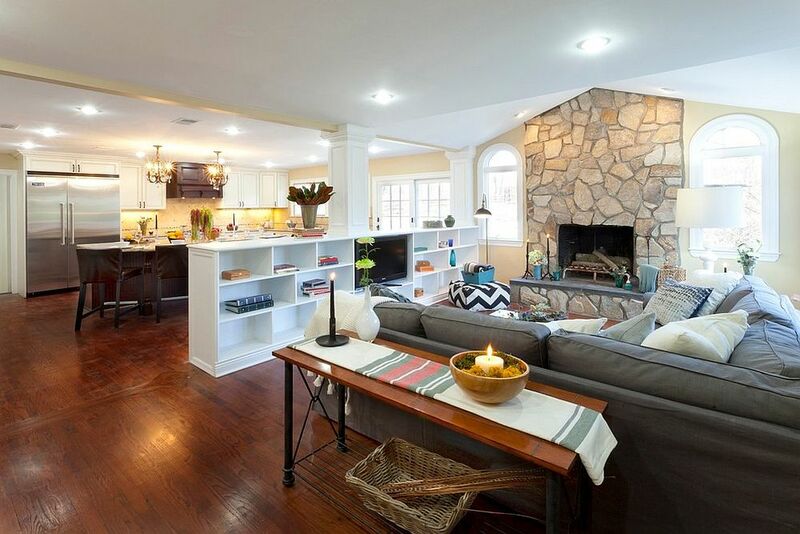 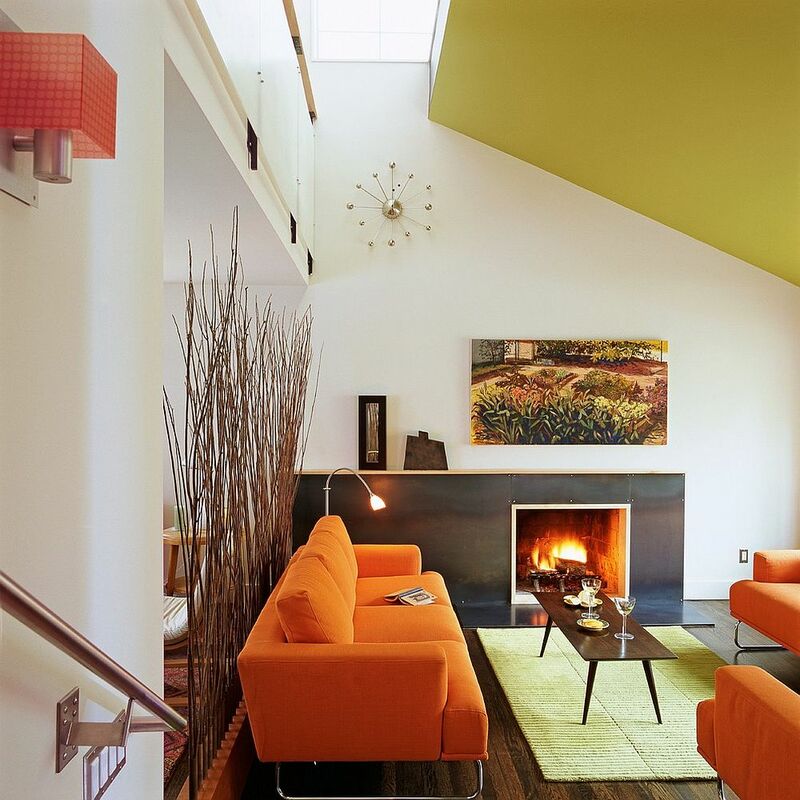 In the era of the open plan living, it is additions like rugs, lighting fixtures and accent pillows that generally allow you to give the living space a quick makeover. 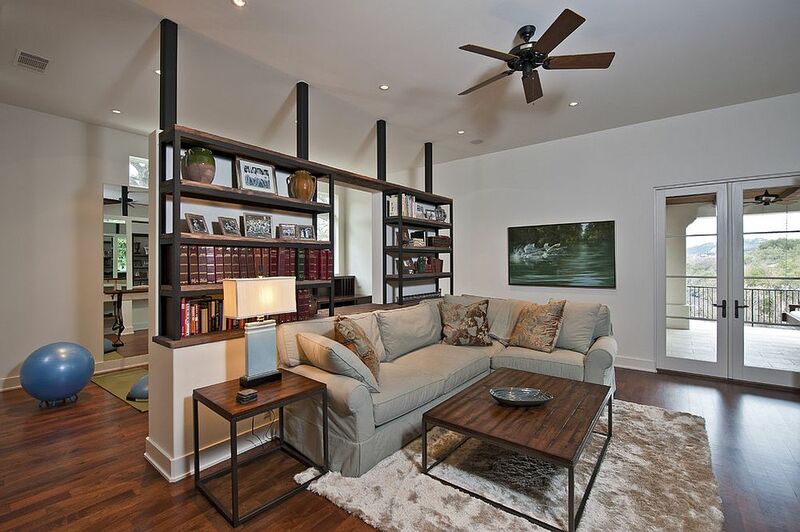 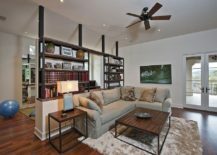 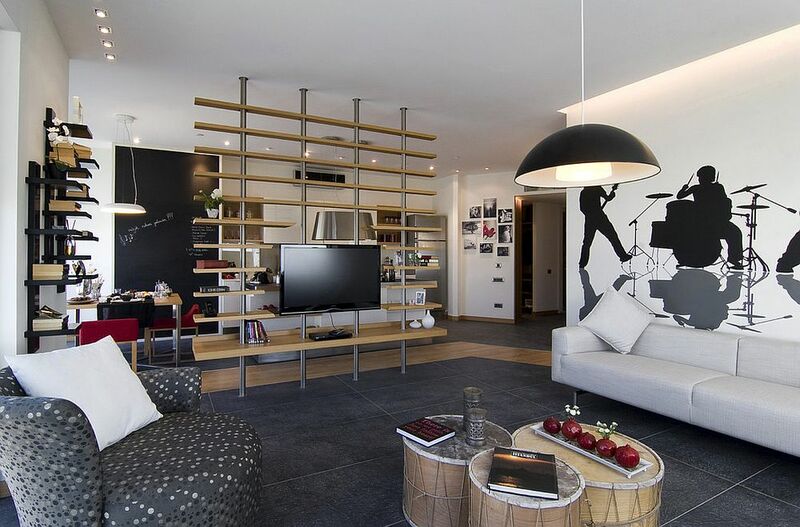 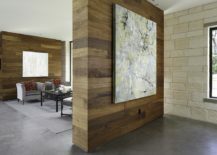 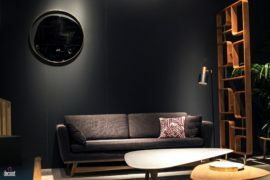 But those who wish to delineate space in the living room without actually turning to walls need something more distinct. 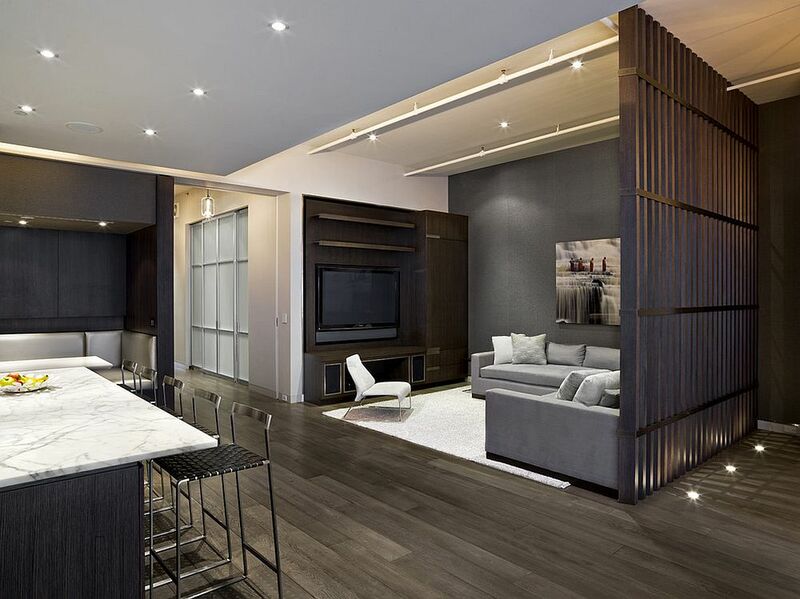 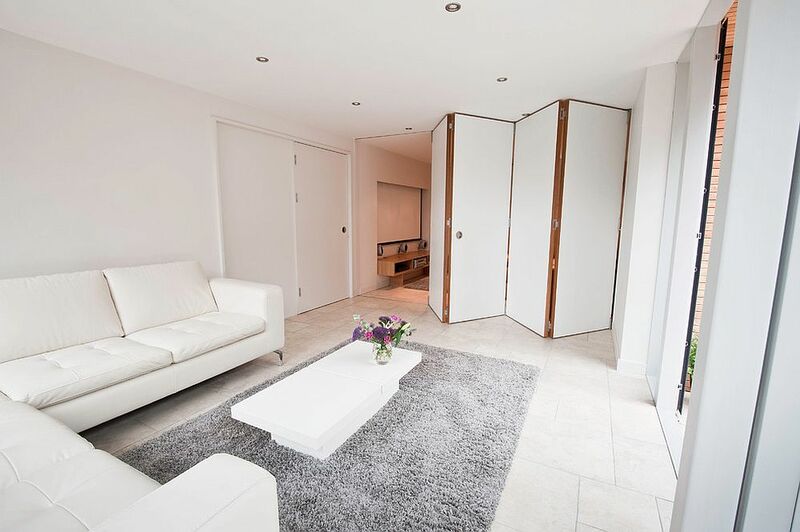 A room divider is the ideal option, as it allows you to divide the living area from the kitchen, dining space or even home office next to it without completely cutting off one room from the next. 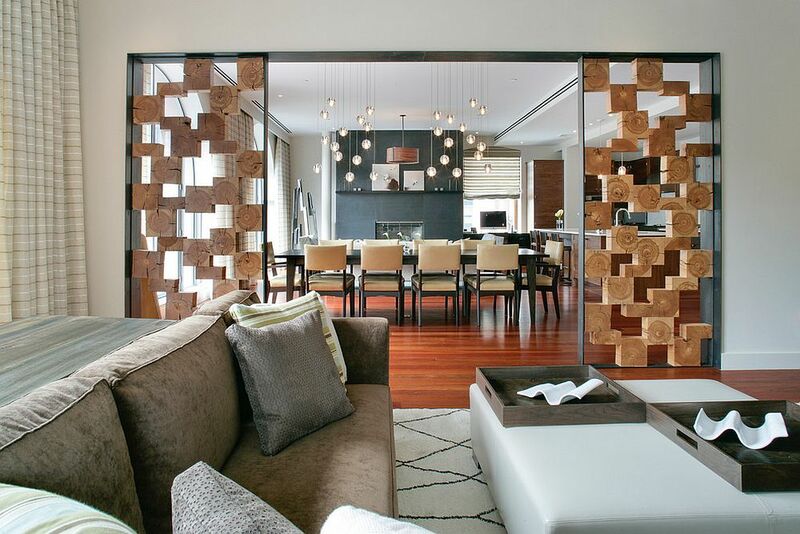 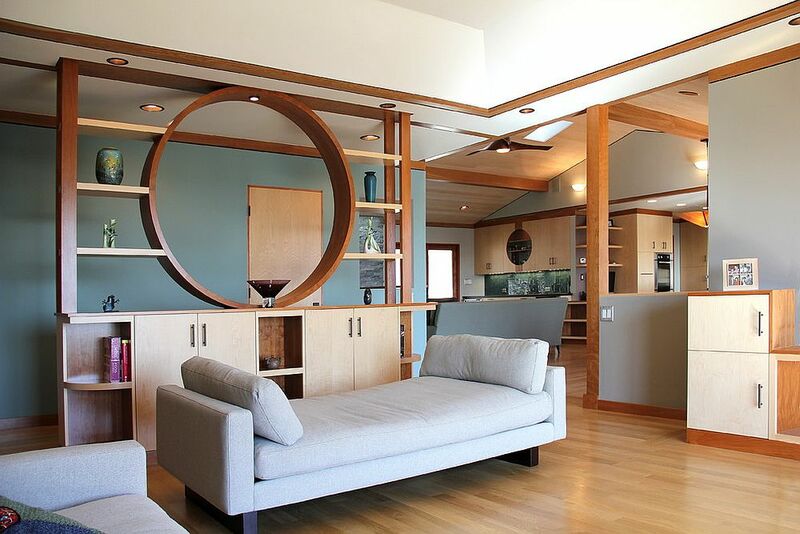 Smart home dividers deliver exactly what you need – free passage of light and visual connectivity despite clearly creating boundaries between two rooms. 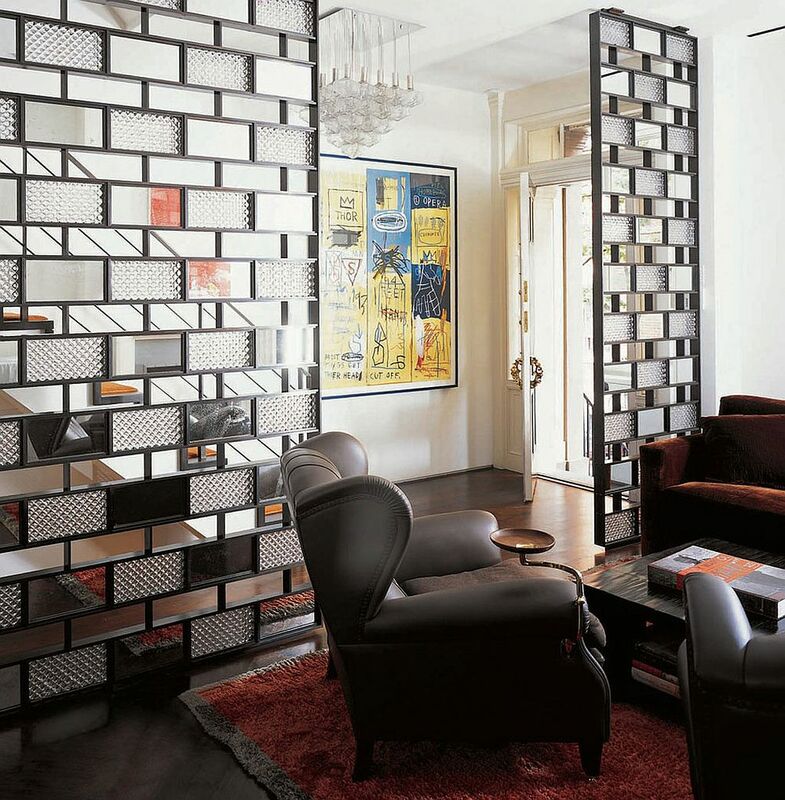 The best part of it all is that you have a wide array of room dividers to pick from that venture beyond just glass walls! 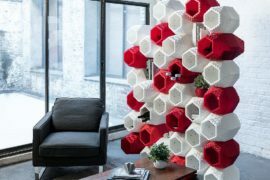 Today’s roundup of 25 such creative room dividers for the living room will force you to look at redecorating your home in an entirely new light! 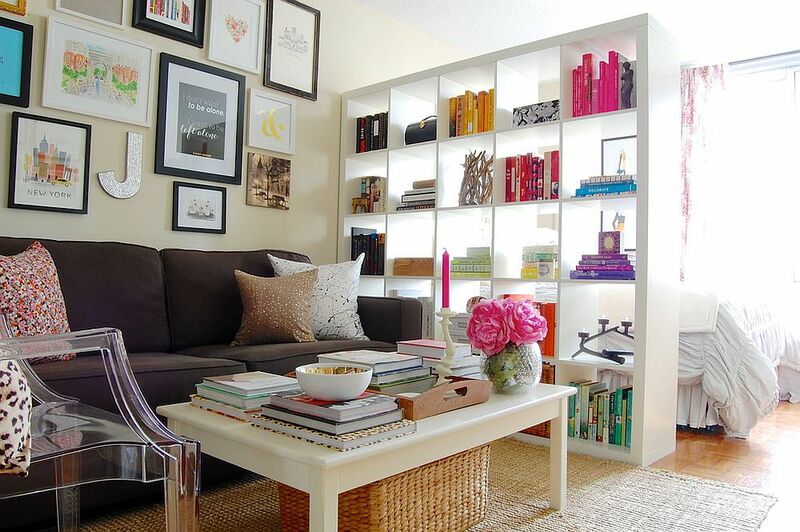 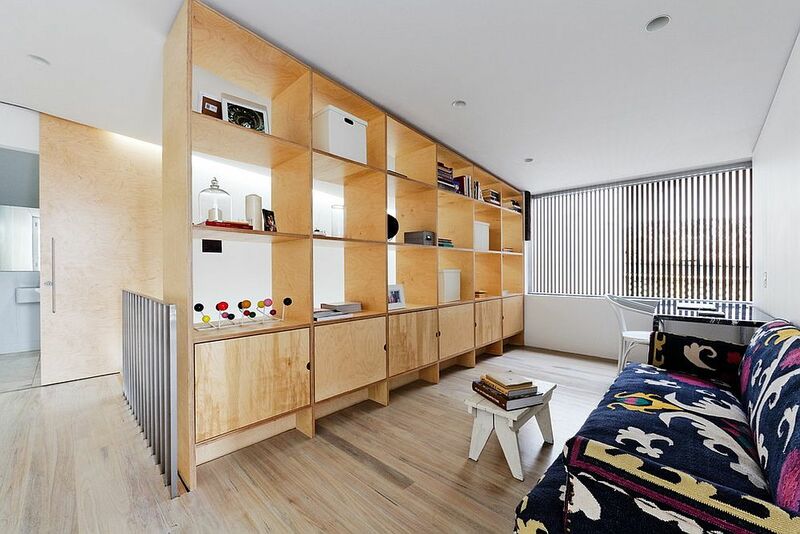 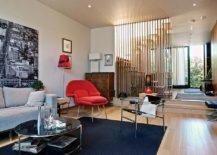 Using the living room divider to add a wonderful display or even additional storage options is a great way to make the most of the available space in your small urban apartment or modest modern home. The idea here is to separate the living room from the kitchen or dining room next to it without disturbing the style of each of the rooms and allowing for an effortless transition between both spaces. 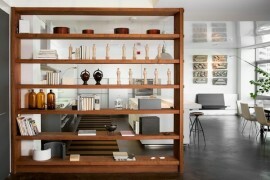 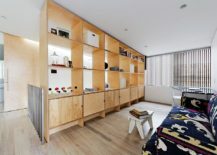 A combination of closed units for the base and open shelves at the top is a practical choice that allows for the unobstructed flow of light and a visual connection between the living area and the rooms next to it. 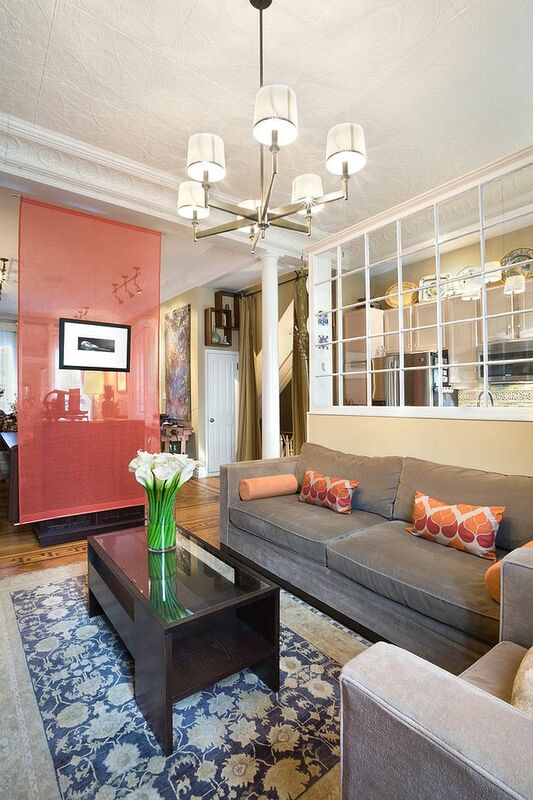 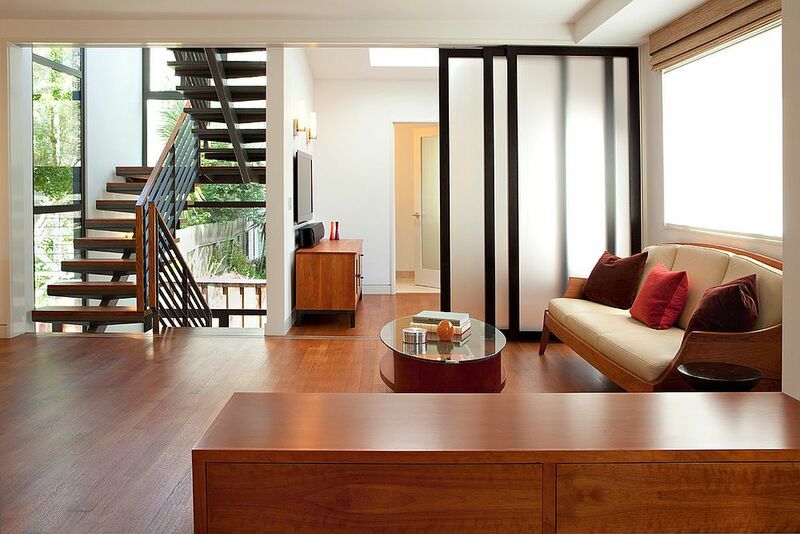 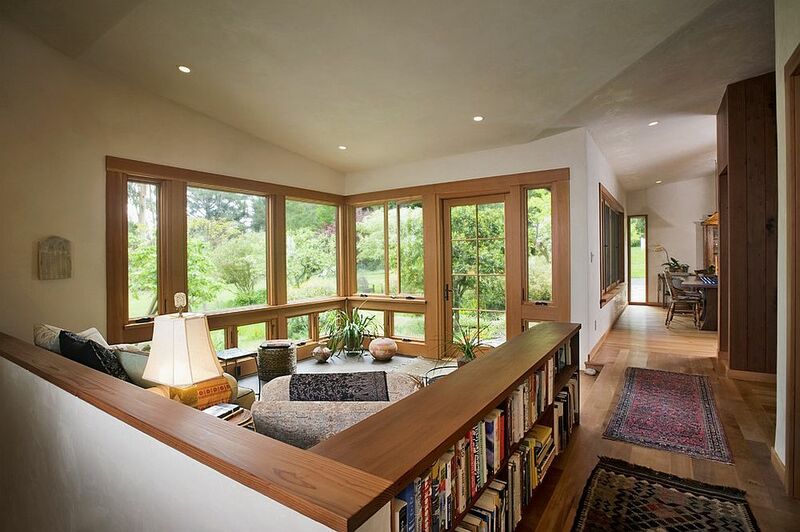 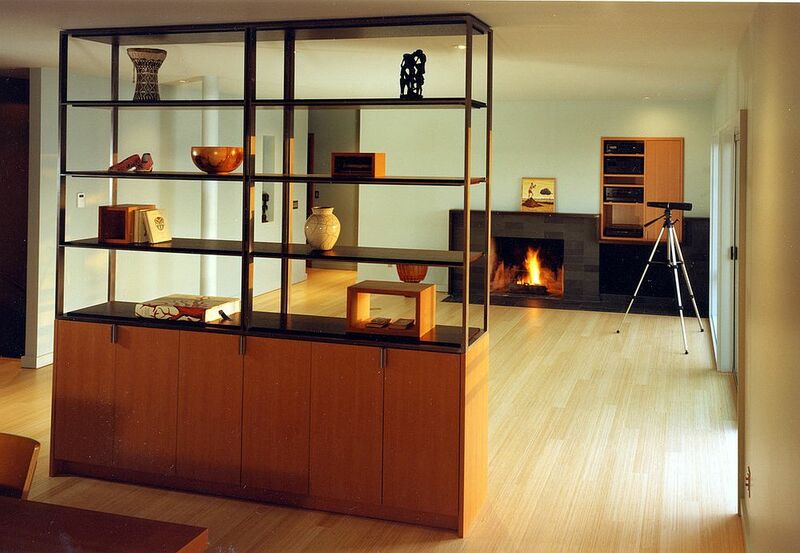 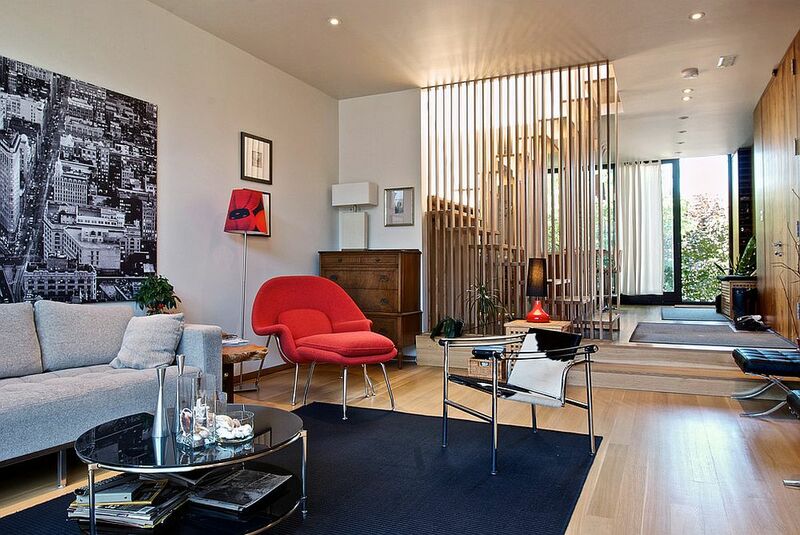 Maybe all you want is a lovely room divider that just separates two spaces and multitasking is not really a priority. 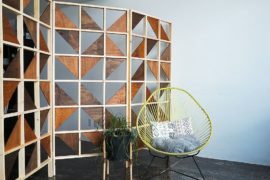 If that is the case, then think of adding another unique texture or finish to the living room with the help of this nifty divider. 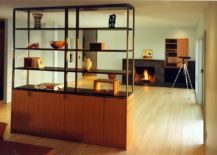 Since most modern living rooms are covered in sleek, polished surfaces and a touch of metal, the glint of glass or even the warmth of wood is a welcome change. 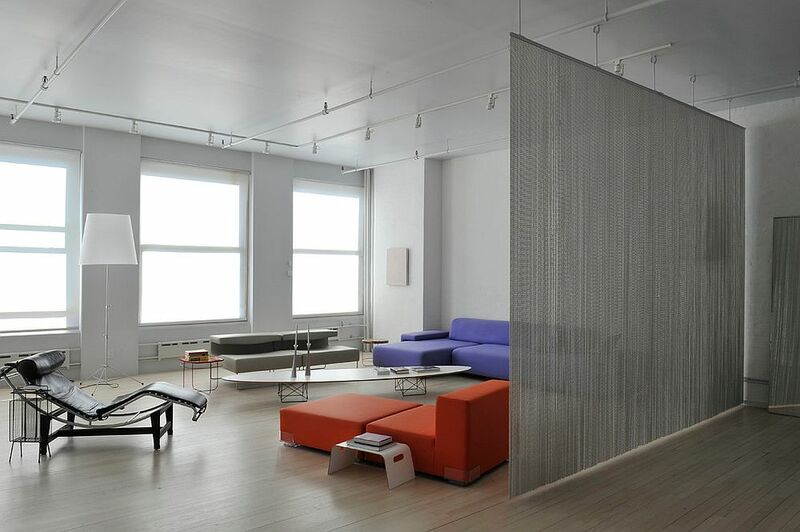 A simple and stylish screen or even a metal mesh works well in certain homes, and these ultra-sleek dividers also take up minimal foot space. 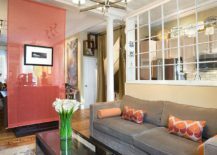 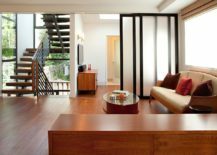 Adding a translucent glass wall or sliding and folding glass doors to create a partition between the living area and the bedroom in the small studio apartment is a trendy option. 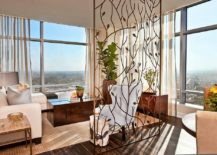 If you are veering towards glass walls, then it is best to add a layer of drapes that gives you more privacy when needed. 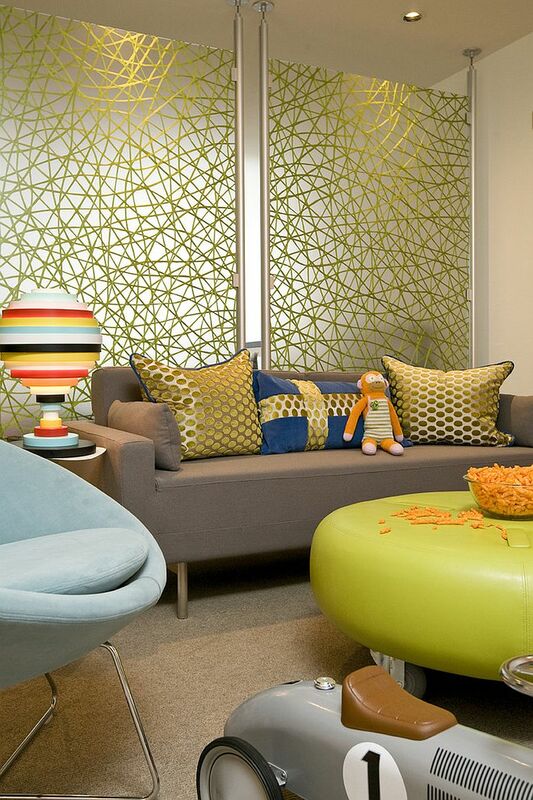 Etched and chemically treated glass panes coupled with sleek metallic pipes give the living room an industrial touch, while colorful glass partitions and those with intricate patterns and designs enliven the room instantly. 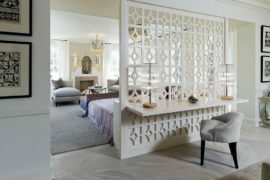 What works for one might not for others, and your need for a room divider, both in terms of size and style, could be very different from what is currently available in stores. 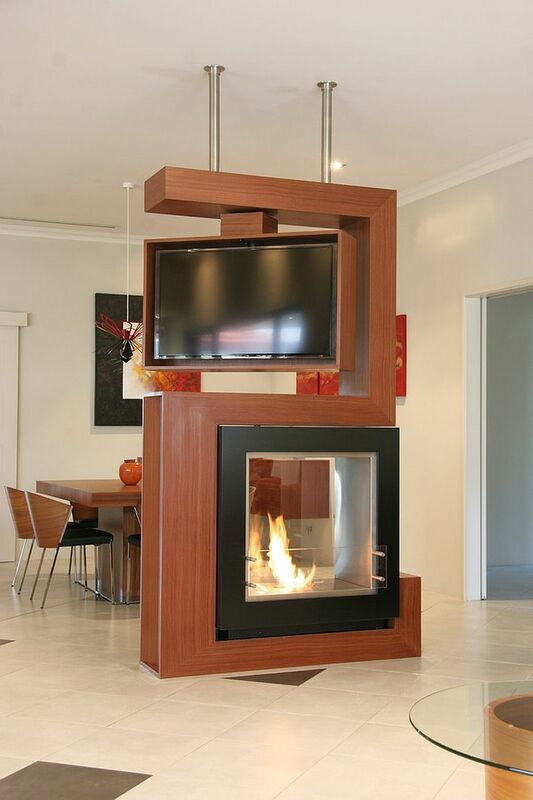 Do not shy away from custom solutions that deliver exactly what you need. 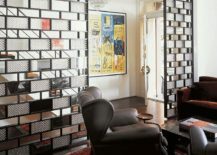 Living room dividers in metal and glass can be created by your local artisan with ease, and often they are far less expensive than dividers in furniture shops. 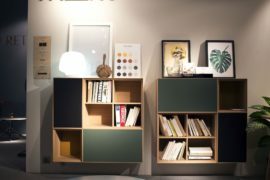 A simple television stand and entertainment unit, a lovely bookshelf or even a series of twigs that you could easily collect this fall –only your imagination limits the style and form of a room divider!